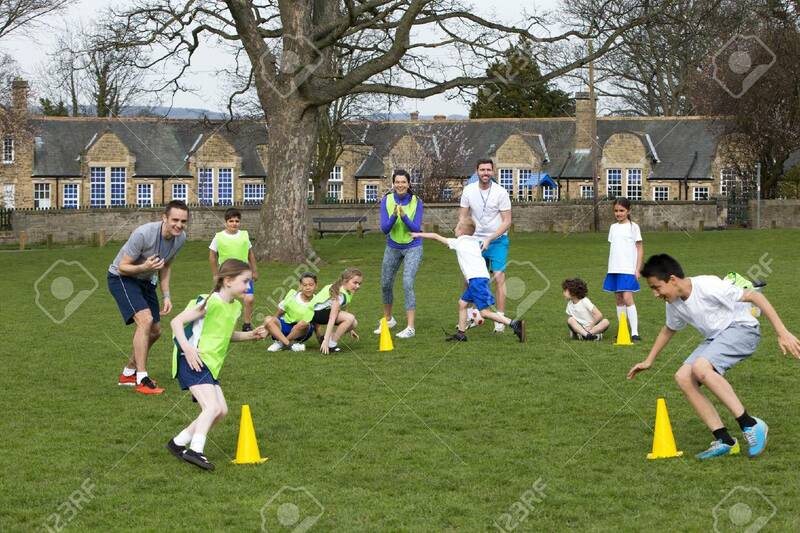 Adults On Grassed Area With School Children Supervising A Football Training Session, Everyone Can Be Seen Running Around Cones. School Building Can Be Seen In The Background. Royalty Free Fotografie A Reklamní Fotografie. Image 43346444.